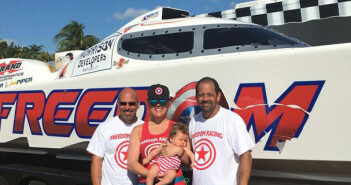 Highs, lows and a trip down memory lane in Washington, N.C.
After purchasing three pre-owned DCB Performance Boats catamarans, Jimmy and Pamela Byrd landed their first new one—a beautiful M35 Widebody that they saw for the first time at last weekend’s Los Angeles Boat Show. November 8, 2017 0 Ready for a Repeat? 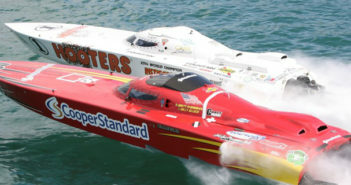 Can Wake Effects defend its Superboat Unlimited world championship in Key West? Rusty Rahm, Jeff Harris and company are definitely up for the challenge. With help from a Lake Havasu City, Ariz., media crew, Positive Trim created a two-minute commercial for its apparel that’s worth watching.